At Eskenzi, we’re getting very excited for the upcoming European Cyber security Month in October, now less than a month away. To kick off the month, we’ve organised Security Serious Week, sponsored by Mimecast and Netskope, to take place the week of the 3rd October. The week is designed to inform, reward and inspire UK professionals into getting more serious about security and attract new talent to the industry. On the first day, we’ve been given the Churchill room by the Department for Media Culture and Sport to host a conference that will bring together some of the country’s brightest minds in cybersecurity and cover topics such as how the UK’s top CISOs tackle security awareness, coping with the ever-changing legal landscape and how (and why) UK companies should be thinking like hackers. For a full programme and to register for the event, you can visit here. 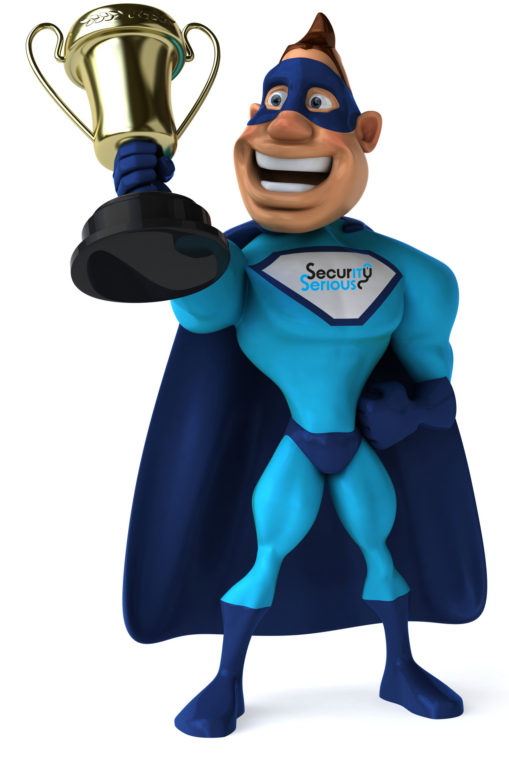 The second day will see the best individuals and teams the cybersecurity industry has to offer rewarded for all of their hard work at the Security Serious Unsung Heroes Awards during an informal ceremony in London that will compered by none other than the fabulous Clive Room. With categories such as Godfather of Security, CISO Supremo, Security Leader, Mobile Mogul and Cloud Security Superhero, around 20 awards will be given on the night. Throughout the rest of the week, we will be hosting webinars for industry experts who have given up their time to provide fresh and interesting talks about the state of the cybersecurity industry, from securing the human factor and security vs. Productivity to securing the smart home and staying safe online. There is sure to be a webinar to interest everyone, so do have a look and register now! Cyber security has never been more important and has a huge part to play in the continuity and resiliency of our country as a whole. We want Security Serious Week to not only help make the UK plc more security savvy, but also to recognise the people who work tirelessly in the background day after day in our critical infrastructure, transport, banks, shops, universities and public services to provide an incredible service to our national safety, yet often go unnoticed. Of course, none of this would be possible without the companies that sponsored our work, so a very big thank you to gold sponsors Mimecast and Netskope, as well as AlienVault, gsk, Publicis Groupe, CrowdStrike, Lastline, Proofpoint, whiteCryption, Imperva, Acumin and Canon.